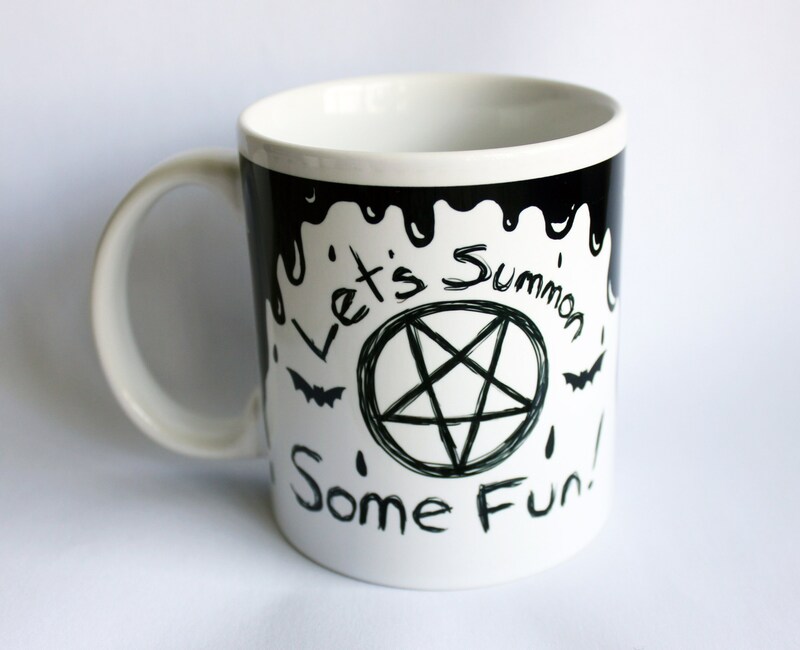 Pour yourself some black coffee, and summon up some fun! This dark 11oz ceramic mug is printed double sided (the same image is on both sides). Dishwasher and Microwave Safe.